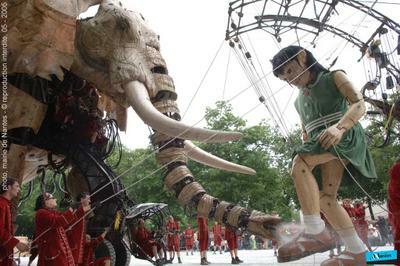 Eyeteeth: Incisive ideas: Massive marionettes. 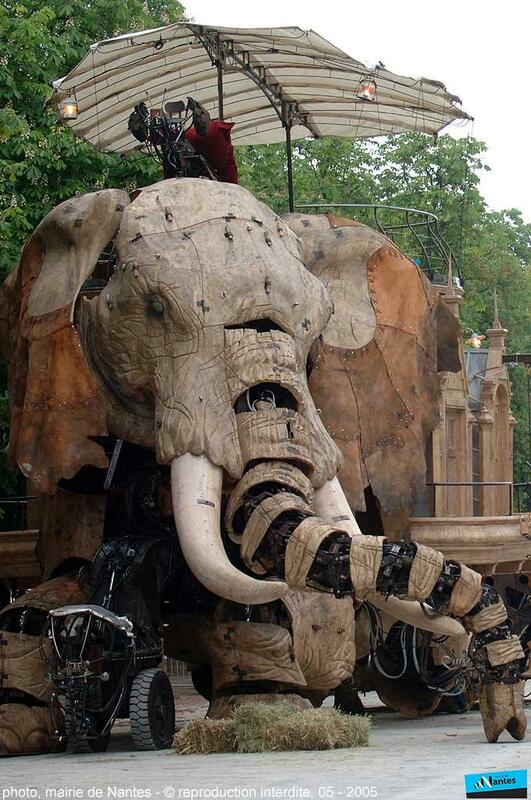 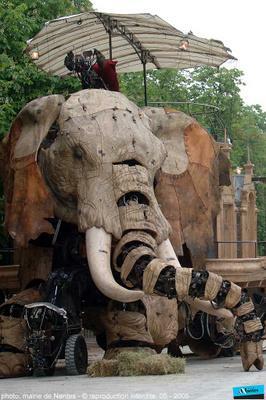 Celebrating the 100th anniversary of native son Jules Vernes' Around the World in Eighty Days, the French city of Nantes held the Royal de Luxe parade in May, complete with a giant marionette girl and water-spewing elephant. 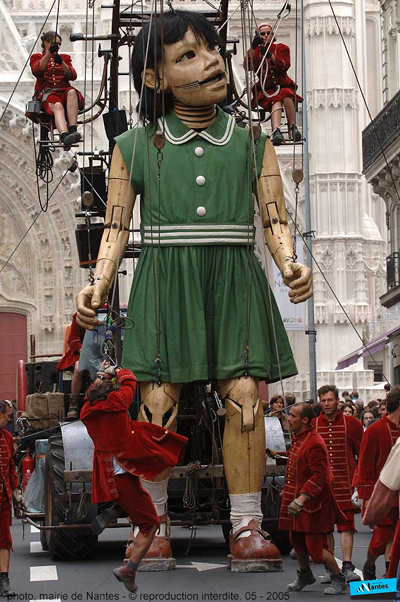 As the videos show, the girl is strong enough to carry children on her arms and her expressions (mostly eyelid batting) are remarkable.